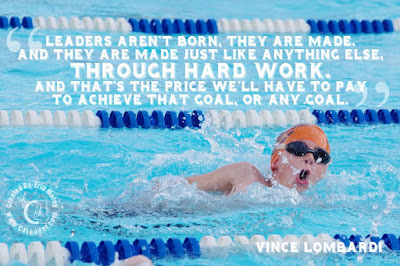 My son joined the swim team, working hard to get better and become one of the stronger swimmers on the team. In order to improve, hard work is required. People may have talents that make them more inclined toward leadership (or other areas), but as with all skills / talents practice and work are required to grow and achieve your goals.